Genisys Credit Union sponsored a seasonal highlight, a pumpkin festival as the clock ticked down toward Halloween. 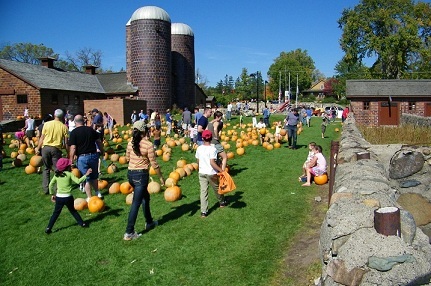 The $1.4 billion Genisys Credit Union of Auburn Hills, Mich., sponsored a seasonal highlight, the 12th annual Stonewall Pumpkin Festival at the Rochester Hills Museum at Van Hoosen Farm. Organizers said 750 people came to the site during the day on Oct. 13 to pick out a pumpkin to carve and then 750 people again showed up that night to see 350 pumpkins light up the stone walls in the lighting ceremony.